The National Portrait Gallery recently acquired a group of vintage prints of Elisabeth Welch from her biographer Stephen Bourne. 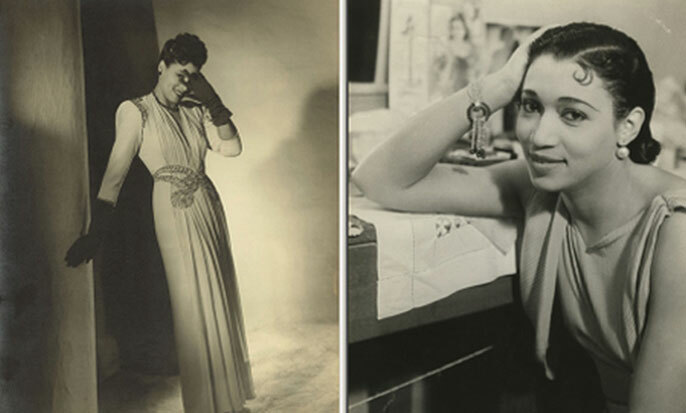 These photographs were taken in New York and London in the 1930s and 1940s by Carl Van Vechten, Humphrey Spender, Cannons of Hollywood and Paul Tanqueray. The photographs will be displayed in the NPG’s Room 31, together with items from Stephen’s private collection of Elisabeth Welch memorabilia. On Thursday 12 March Stephen is scheduled for a "live" interview about Elisabeth in BBC Radio 4's Woman's Hour (from Broadcasting House) sometime between 10 and 11am (it will also be available on line). On Thursday 19 March Stephen will share some of his personal memories of the singer in the NPG's Ondaatje Wing Theatre at 1.15pm (admission free). Stephen’s biography Elisabeth Welch: Soft Lights and Sweet Music (Scarecrow Press, £15.99) will be available in the National Portrait Gallery’s bookshop.